The Inlander asked a handful of local public figures to tell us about their Spokane Restaurant Week experience, and what they look for in local dining. Read additional responses and other previous coverage here. 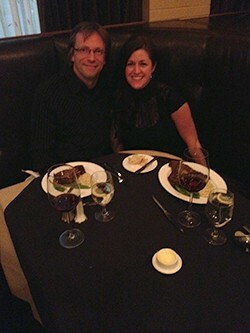 On Monday, Spokane Symphony Music Director Eckart Preu and his wife dined at Churchill’s Steakhouse for the first time. From the Spokane Restaurant Week menu, Preu selected the lobster bisque, ribeye steak and New York-style cheesecake. He compares the meal to concert, and says the cheesecake rivals the best New York City has to offer. For me, going to a restaurant is a bit like going to a concert. It’s about the complete experience, starting with the parking situation, and what happens when you walk in the door. I expect the first-time visitor to the Martin Woldson Theater at the Fox to gasp as they enter this beautiful space and look around. It was designed to do just that. When walking into Churchill’s one can sense comfort, warmth and class. The space and its ambiance are beautiful. Last night business was booming - maybe thanks to Spokane Restaurant Week. People kept coming in the door. As part of the East German generation for whom a piece of pork with potatoes for lunch and bread with cold cuts for dinner is all they need, I might not be the most knowledgeable customer. I have to admit; this was my first visit to Churchill’s. This being a restaurant with a stellar reputation, I had great expectations. My wife Neeley and I decided to order a Pinot. I turned out to be a good choice, strongly flavored with a slight edge. It would be the perfect companion to the steak that was to come. A look at a restaurant menu is like looking at a concert program. Symphony orchestras offer a prix fixe menu, and so we decided to go with the only slightly more flexible menu put together for Spokane Restaurant Week. I am used to: overture, concerto, and symphony. Here: salad, entrée, dessert. As fans of Carpaccio we ordered our appetizer accordingly, and it turned out to be one of the best choices of the night. Accompanied by lemon, capers and tapenade it was deliciously tangy. Can meat melt in your mouth? Yes, it can. Upon tasting the Carpaccio my wife used the name of the Lord in vain. Which should happen again during desert. As a German I am much in control of my mutterings. Next: Lobster bisque. This is probably as un-Germanic as it gets. I expected something a bit creamier, but in retrospect I am happy it wasn’t — the steak and desert were still to come, and so the lightness of the soup was a better start. It was lobster-y, intense and — for my tongue — nicely spicy. The ribeye would be the symphony of the evening: substantial with a variety of moods and colors. I like a symphony to be a voyage into the sense — and a steak with its accompaniments as well. Perfection is not necessarily something we strive for in music — I like the humanity of live performance, but cooking a steak to perfection, exactly how you want it — that is something to wish for. Medium rare, with excellent sugar snap peas in the pod on the side (crispy on the outside with long lasting flavor) — this steak did provide a journey, moments when you forget the world around you. Just like in music. The Pinot turned out to be an inspired choice as the ideal partner for the steak. Sometimes we play an Encore in our concerts — our musical version of a dessert. 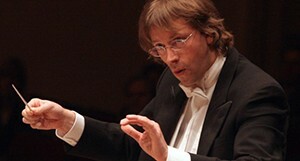 It need to be short and well-known, and should be at least on the same musical level as the main course, the symphony. This time my Encore was a New York Cheesecake. During my travels I have had many cheesecakes in New York City — but none there matched the one I had at Churchill’s. It was as if Debussy and Mozart had descended from heaven and they had created this super creamy sugariness with butter crust. Upon inquiry we were told it was actually created by the owner’s wife, Renie Alles - but I stick to my theory. Together with whipped cream and strawberry, this cheesecake made you tongue-smack twice. After consumption of music or food, all that is left are memories. We want them to be the best memories. We know: Life is too short. Why listen to Salieri when you can enjoy Mozart? Churchill’s is certainly the Mozart of steakhouses in Spokane.